Basement Waterproofing Montgomery County - Call Today! Montgomery County is one of the richest counties in the entire nation. Its close proximity to Washington, D.C. makes it an ideal suburban retreat for some of the city’s most educated workers, but between Bethesda and Silver Spring, Montgomery County has developed into an economic powerhouse in its own right. Needless to say, this type of growth and development has had a positive effect on Montgomery County’s housing market. Regardless of its value, all homes with basement foundations are susceptible to leaking. This is especially true in Montgomery County, which sees an average of 43 inches of rainfall every year. The best way to protect your investment in your home from water damage is to find a company that specializes in basement waterproofing in Montgomery County. Homes that have undergone basement waterproofing in Montgomery County are likely to save owners from headaches and expensive repairs in the long run. Although there are many different hazards that may result in damage to your home, water is probably the one you should be most concerned about. Excess water in the basement can damage any furniture, carpets, rugs, or electronics that are in your basement if it’s being used as a living area. Water can also result in damage to paint or wall paper, but in extreme cases, it may even result in warping of drywall and wooden supports. Mold formation is also a major concern when it comes to leaky basements. Mold can lead to unpleasant smells, wood and drywall damage, and health problems for you and your family. Most importantly, a leaky basement could be a sign of moisture around your foundation that is not draining away properly. If this is the case, the water may eventually cause shifts in your foundation that can lead to structural damage to your home. The cost of fixing a foundation problem could far outpace the cost of basement waterproofing. The three primary causes of leaky basements are condensation, runoff, and subsurface water. Condensation occurs when warm, humid air in your home—which can accumulate especially well in modern energy-efficient homes, makes its way down to the basement and hits the cool walls or pipes in the basement. The moisture in the air condenses onto the surfaces and pools in your basement. Condensation can be addressed relatively easily by installing heaters and dehumidifiers in the basement, and occasionally airing out the basement with fans and open windows. Runoff and subsurface water are two different causes, but they essentially have the same effect: excess water around the foundation that doesn’t drain off properly and finds its way into the basement, either through cracks and gaps, or slowly through the walls via capillary action. Sometimes, these problems can be addressed by patching the gaps and cracks in the foundation or simply diverting excess water away from the foundation by installing gutter extensions. More serious problems may require regarding the soil around the foundation to help with drainage, the installation of interior or exterior drainage pipes that divert groundwater away from the foundation, or complete basement waterproofing, using advanced polymer-based materials. In all cases, AA Action Waterproofing can provide quality, cost-effective basement waterproofing in Montgomery County. If mold has already set in, we also offer comprehensive mold remediation services that ensure all traces of harmful mold are removed from your home. Our solutions can and will save you from water damage that can end up costing you many times more in the long term. 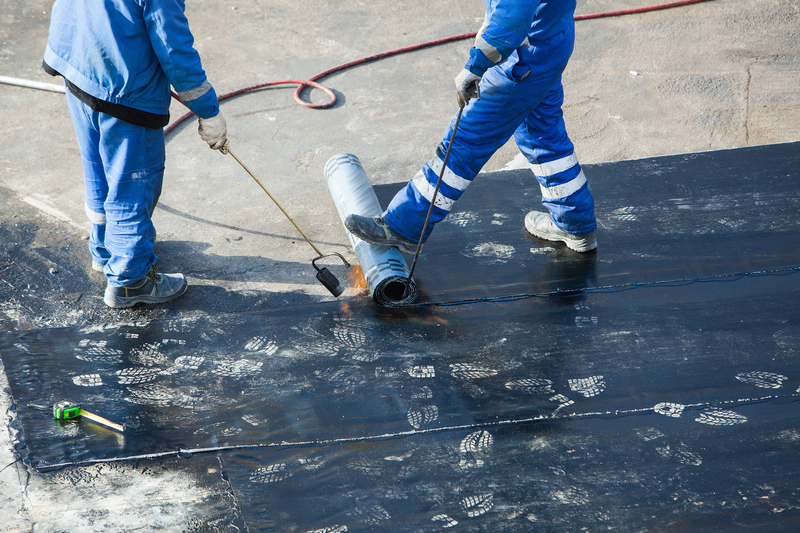 AA Action Waterproofing is a family owned and operated business serving the mid-Atlantic area including Maryland, D.C., Northern Virginia, Pennsylvania, New Jersey, and Delaware. We have been protecting homes in the mid-Atlantic for over 28 years, and we have never encountered a basement or foundation problem we couldn’t handle. We take the utmost pride in our work. Unlike some other companies that provide basement waterproofing in Montgomery County, we don’t use any subcontractors to ensure that only the best quality workmanship and materials are used on our projects. We are fully licensed, insured, and bonded, and our work comes with a lifetime warranty. If you need basement waterproofing in Montgomery County, call AA Action Waterproofing for a free, no-obligation inspection and estimate today.